Theodore John Kaczynski (/kəˈzɪnski/; born May 22, 1942), also known as the Unabomber (/ˈjuːnəˌbɒmər/), is an American domestic terrorist, former mathematics professor, and anarchist author. A mathematics prodigy, he abandoned an academic career in 1969 to pursue a primitive lifestyle. Between 1978 and 1995, he killed three people and injured 23 others in an attempt to start a revolution by conducting a nationwide bombing campaign targeting people involved with modern technology. In conjunction, he issued a social critique opposing industrialization and advancing a nature-centered form of anarchism. In 1971 Kaczynski moved to a remote cabin without electricity or running water near Lincoln, Montana, where he lived as a recluse while learning survival skills in an attempt to become self-sufficient. After witnessing the destruction of the wilderness surrounding his cabin, he concluded that living in nature was untenable and began his bombing campaign in 1978. In 1995, he sent a letter to The New York Times and promised to "desist from terrorism" if The Times or The Washington Post published his essay, Industrial Society and Its Future, in which he argued that his bombings were extreme but necessary to attract attention to the erosion of human freedom and dignity by modern technologies that require large-scale organization. Neighbors in Evergreen Park later described the Kaczynskis as "civic-minded folks", with one stating that the parents "sacrificed everything they had for their children". Both Ted and David were intelligent, but Ted stood out in particular. One neighbor said she had "never known anyone who had a brain like he did", while another said that Ted was "strictly a loner" who "didn't play ... an old man before his time." His mother recalled Ted as a shy child who would become unresponsive if pressured into a social situation. At one point she was so worried about Ted's social development that she considered entering him in a study for autistic children led by Bruno Bettelheim. She decided against it after observing Bettelheim's abrupt and cold manner. The primary component was a length of metal pipe about 1 inch (2.5 cm) in diameter and 9 inches (23 cm) long containing smokeless explosive powder and contained in a box. The box and the plugs sealing the pipe's ends were handcrafted from wood. Most pipe bombs use threaded metal ends easily obtained by consumers; the wooden ends lacked the strength for significant pressure to build within the pipe, weakening the blast. The trigger was primitive: a nail tensioned by rubber bands, which would strike six common match heads when the box was opened. The match heads would ignite and initiate combustion of the powder. Kaczynski later used batteries and heat filament wire to ignite the powder more effectively. In The Atlantic, Alston Chase reported that the text "was greeted in 1995 by many thoughtful people as a work of genius, or at least profundity, and as quite sane". Chase himself argued, however, that it "is the work of neither a genius nor a maniac. […] Its pessimism over the direction of civilization and its rejection of the modern world are shared especially with the country's most highly educated." UCLA professor of political science James Q. Wilson, who was mentioned in the manifesto, wrote in The New Yorker that Industrial Society and Its Future was "a carefully reasoned, artfully written paper ... If it is the work of a madman, then the writings of many political philosophers — Jean Jacques Rousseau, Tom Paine, Karl Marx — are scarcely more sane." In a Wired article on the dangers of technology, "Why The Future Doesn't Need Us" (2000), Bill Joy, one of the co-founders of Sun Microsystems, quoted Ray Kurzweil's The Age of Spiritual Machines, which quoted a passage by Kaczynski in Industrial Society and Its Future on the types of society that might develop if human labor were entirely replaced by artificial intelligence. Joy wrote that Kaczynski is "clearly a Luddite", but, "simply saying this does not dismiss his argument," and stated "I saw some merit in the reasoning in this single passage [and] felt compelled to confront it." In February 1996, Bisceglie provided a copy of the 1971 essay written by Ted Kaczynski to Molly Flynn at the FBI. She forwarded the essay to the San Francisco-based taskforce. At the UNABOM Task Force headquarters in San Francisco, agents Joel Moss and Kathleen Puckett read the essay, but it was FBI Profiler James R. Fitzgerald who immediately recognized similarities in the writings. Linguistic analysis determined that the author of the essays and the manifesto were almost certainly the same. Combined with facts gleaned from the bombings and Kaczynski's life, the analysis provided the basis for a search warrant signed by Terry Turchie, the head of the entire investigation. The early hunt for the Unabomber portrayed a perpetrator far different from the eventual suspect. Industrial Society and Its Future consistently uses "we" and "our" throughout, and at one point in 1993 investigators sought an individual whose first name was "Nathan" because the name was on a fragment of a note found in one of the bombs. When the case was presented to the public, authorities denied that there was ever anyone other than Kaczynski involved in the crimes. ↑ As stated in the "Additional Findings" section of the FBI affidavit, where a balanced listing of other uncorrelated evidence and contrary determinations also appeared, "203. Latent fingerprints attributable to devices mailed and/or placed by the UNABOM subject were compared to those found on the letters attributed to Theodore Kaczynski. According to the FBI Laboratory no forensic correlation exists between those samples." ↑ Kaczynski's brother, David—who would play a vital role in Kaczynski's capture by alerting federal authorities to the prospect of his brother's involvement in the Unabomber case—sought out and became friends with Wright after Kaczynski was detained in 1996. David Kaczynski and Wright have remained friends and occasionally speak together publicly about their relationship. ↑ "Inmate Locator". Bop.gov. Archived from the original on February 7, 2012. Retrieved August 10, 2014. ↑ Solomon (Special Agent in Charge, Miami Division), Jonathan (February 6, 2008). "Major Executive Speeches". Federal Bureau of Investigation. Archived from the original on December 27, 2016. ↑ Hassell, Maria R; von Hassell, Agostino (July 9, 2009). A New Understanding of Terrorism: Case Studies, Trajectories and Lessons Learned. ISBN 978-1-4419-0115-6. Archived from the original on January 24, 2016. ↑ Song, David (May 21, 2012). "Theodore J. Kaczynski". The Harvard Crimson. Archived from the original on August 10, 2017. ↑ Times Staff Writers (April 14, 1996). "Adrift in Solitude, Kaczynski Traveled a Lonely Journey". Los Angeles Times. Archived from the original on June 3, 2016. 1 2 3 4 5 6 7 8 9 10 McFadden, Robert D. (May 26, 1996). "Prisoner of Rage – A special report. ; From a Child of Promise to the Unabom Suspect". The New York Times. Archived from the original on August 9, 2017. Retrieved February 4, 2009. ↑ Kovaleski, Serge F.; Adams, Lorraine (June 16, 1996). "A Stranger In The Family Picture". The Washington Post. Archived from the original on August 3, 2017. ↑ Chase 2004, p. 161. ↑ "The Kaczynski brothers and neighbors". Chicago Tribune. Archived from the original on August 17, 2017. ↑ Chase, Alston (2004) . A Mind for Murder – The Education of The Unabomber and the Origins of Modern Terrorism (1 ed.). New York: W. W. Norton & Co., Inc. pp. 107–108. ISBN 978-0-393-32556-0. Archived from the original on August 19, 2017. Retrieved June 15, 2017. ↑ Staff writer(s) (November 13, 1996). "Kaczynski: Too smart, too shy to fit in". USA Today. ↑ Ferguson, Paul (1997). "A loner from youth". CNN. Archived from the original on June 13, 2008. Retrieved February 4, 2009. ↑ Karr-Morse, Robin (January 3, 2012). Scared Sick: The Role of Childhood Trauma in Adult Disease (2 ed.). Basic Books. ISBN 978-0-465-01354-8. Archived from the original on August 19, 2017. Retrieved June 15, 2017. ↑ Kaczynski, David (2016-01-08). Every Last Tie: The Story of the Unabomber and His Family. Duke University Press. ISBN 9780822375005. 1 2 Achenbach, Joel; Kovaleski, Serge F. (April 7, 1996). "THE PROFILE OF A LONER". The Washington Post. Archived from the original on August 11, 2017. 1 2 Martin, Andrew; Becker, Robert (April 16, 1996). "Egghead Kaczynski Was Loner In High School". Chicago Tribune. Archived from the original on August 11, 2017. ↑ Hickey, Eric W. (2003). Encyclopedia of Murder and Violent Crime. SAGE Publications. p. 268. ↑ Song, David (May 21, 2012). "Theodore J. Kaczynski". The Harvard Crimson. Archived from the original on August 19, 2017. ↑ Knothe, Alli; Andersen, Travis (May 23, 2012). "Unabomber lists self as 'prisoner' in Harvard directory". The Boston Globe. Archived from the original on September 1, 2017. ↑ Staff writer(s) (May 24, 2012). "Unabomber in Harvard reunion note". BBC. Archived from the original on September 1, 2017. 1 2 3 4 Stampfl, Karl (March 16, 2006). "He came Ted Kaczynski, he left The Unabomber". The Michigan Daily. Archived from the original on January 14, 2017. 1 2 Alston, Chase (June 2000). "Harvard and the Making of the Unabomber". The Atlantic Monthly. 285 (6). pp. 41–63. Archived from the original on August 21, 2014. Retrieved June 15, 2017. ↑ Moreno, Jonathan D (May 25, 2012). "Harvard's Experiment on the Unabomber, Class of '62". Psychology Today. Archived from the original on December 21, 2017. ↑ Haas, Michaela. "My Brother, the Unabomber". Life Tips. Medium. Archived from the original on April 9, 2016. Retrieved April 9, 2016. ↑ Gitlin, Todd (March 2, 2003). "A Dangerous Mind". The Washington Post. Archived from the original on May 8, 2018. ↑ Moreno, Jonathan (2012). Mind Wars: Brain Science and the Military in the 21st Century. Bellevue Literary Press, NYU School of Medicine. ISBN 978-1-934137-43-7. ↑ "MKUltra: Inside the CIA's Cold War mind control experiments". The Week. Archived from the original on November 22, 2017. Retrieved December 23, 2017. ↑ Chase, Alston. "Harvard and the Making of the Unabomber". The Atlantic. Archived from the original on August 21, 2014. Retrieved December 23, 2017. ↑ Chase, Alston (2003). 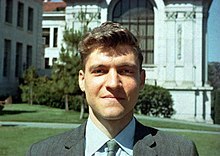 Harvard and the Unabomber: The Education of an American Terrorist. W. W. Norton & Company. pp. 18–19. ISBN 978-0-393-02002-1. ↑ Alston Chase (June 1, 2000). "Harvard and the Making of the Unabomber". The Atlantic Monthly. pp. 41–65. Archived from the original on May 9, 2008. Retrieved October 16, 2008. ↑ RadioLab (June 28, 2010). "Oops". Archived from the original on September 8, 2010. ↑ Cockburn, Alexander (October 18, 1999). "CIA Shrinks & LSD". CounterPunch. Archived from the original on September 7, 2015. Retrieved August 7, 2015. 1 2 Ostrom, Carol M. (April 6, 1996). "Unabomber Suspect Is Charged – Montana Townsfolk Showed Tolerance For 'The Hermit'". The Seattle Times. Archived from the original on December 27, 2008. Retrieved February 4, 2009. 1 2 Bullough, John. "Published [Academic] Works of Theodore Kaczynski". Archived from the original on August 8, 2015. Retrieved July 31, 2015. ↑ Howe, Peter J. & Dembner, Alice (April 5, 1996). "Meteoric Talent that Burned Out". Boston Globe. Archived from the original on May 1, 2011. Retrieved May 9, 2009. ↑ Li, Ivy (November 10, 2016). "A neo-Luddite manifesto?". The Tech. Archived from the original on August 10, 2017. 1 2 Crenson, Matt (July 21, 1996). "Kaczynski's Dissertation Would Leave Your Head Spinning". Los Angeles Times. Archived from the original on November 4, 2016. ↑ Perez-Pena, Richard (April 5, 1996). "On the Suspect's Trail: the Suspect; Memories of His Brilliance, And Shyness, but Little Else". The New York Times. Archived from the original on August 19, 2017. Retrieved February 4, 2009. ↑ Graysmith, Robert (1998). Unabomber: A Desire to Kill. Berkeley Publishing Group. pp. 11–12. ISBN 978-0-425-16725-0. ↑ Morris, Willy (April 6, 1996). "Kaczynski Ended Career in Math with no Explanation". Buffalo News. ↑ "125 Montana Newsmakers: Ted Kaczynski". Great Falls Tribune. Archived from the original on June 15, 2013. Retrieved August 28, 2011. 1 2 3 4 5 "Interview with Ted Kaczynski, Administrative Maximum Facility Prison, Florence, Colorado, USA". Earth First Journal!. June 1999. Archived from the original on March 18, 2009. Retrieved March 18, 2009. ↑ Kifner, John (April 5, 1996). "On The Suspect's Trail: Life In Montana; Gardening, Bicycling And Reading Exotically". The New York Times. Archived from the original on November 4, 2015. ↑ Brooke, James (March 14, 1999). "New Portrait of Unabomber: Environmental Saboteur Around Montana Village for 20 Years". The New York Times. Archived from the original on September 4, 2017. ↑ Freedom Club. "The Communiques of Freedom Club, § Letter to San Francisco Examiner". Wildism.org. Archived from the original on August 11, 2015. Retrieved August 8, 2015. 1 2 3 "Affidavit of Assistant Special Agent in Charge". Court TV. Archived from the original on December 18, 2008. Retrieved February 4, 2009. 1 2 3 "The Unabomber: A Chronology (1978–1982)". Court TV. Archived from the original on July 20, 2008. Retrieved July 5, 2008. ↑ Johnston, David (April 16, 1996). "Cabin's Inventory Provides Insight". The New York Times. Archived from the original on August 19, 2017. Retrieved July 6, 2008. ↑ "Ted Kaczynski's Family on 60 Minutes". CBS News. September 15, 1996. Retrieved July 31, 2015. ↑ Gortelmann, Josh (November 13, 1996). "Kaczynski was fired '78 after allegedly harassing co-worker". USA Today. ↑ Johnson, Dirk (April 19, 1996). "Woman Denies Romance With Unabomber Suspect". The New York Times. Archived from the original on May 26, 2015. 1 2 Blumenthal, Ralph; Kleinfield, N. R. (December 18, 1994). "Death in the Mail – Tracking a Killer: A special report. ; Investigators Have Many Clues and Theories, but Still No Suspect in 15 Bombings". The New York Times. Archived from the original on August 10, 2017. Retrieved February 4, 2009. ↑ "The end of anon: literary sleuthing from Shakespeare to Unabomber". The Guardian. London. August 16, 2001. Archived from the original on September 5, 2008. Retrieved July 5, 2008. ↑ "The Unabomber: A Chronology (1985–1987)". Court TV. Archived from the original on February 26, 2009. Retrieved February 4, 2009. ↑ Claiborne, William (April 11, 1996). "Kaczynski Beard May Confuse Witness". The Washington Post. p. A11. ↑ Lavandera, Ed (June 6, 2008). "Unabomber's brother, victim forge unique friendship". CNN. Archived from the original on December 17, 2008. Retrieved February 4, 2009. ↑ Shogren, Elizabeth (June 25, 1993). "Mail Bomb Attack Leaves Yale Computer Scientist in Critical Condition". Los Angeles Times. Archived from the original on May 1, 2011. Retrieved September 20, 2009. 1 2 "The Unabomber: A Chronology (1988–1995)". Court TV. Archived from the original on February 26, 2009. Retrieved February 4, 2009. ↑ "U.S. v. Kaczynski Trial Transcripts". Court TV. Archived from the original on March 12, 2009. Retrieved February 4, 2009. ↑ "The Unabomber's Targets: An Interactive Map". CNN. 1997. Archived from the original on June 13, 2008. Retrieved February 4, 2009. ↑ Lardner, George; Adams, Lorraine (April 14, 1996). "To Unabomb Victims, a Deeper Mystery". The Washington Post. p. A01. Archived from the original on May 4, 2011. Retrieved February 4, 2009. ↑ Chase, Alston. A Mind for Murder: The Education of the Unabomber and the Origins of Modern Terrorism. W. W. Norton & Company, Incorporated. p. 84. ISBN 0-393-02002-9. Google Book Search. Retrieved May 19, 2011. ↑ "Unabomber Sends New Warnings". latimes. Archived from the original on May 1, 2011. ↑ Staff writer(s) (April 21, 1996). "A Delicate Dance". Newsweek. Archived from the original on August 12, 2017. ↑ "Excerpts From Letter by 'Terrorist Group,' FC, Which Says It Sent Bombs". The New York Times. April 26, 1995. Archived from the original on August 7, 2017. Retrieved January 21, 2009. ↑ Elson, John (July 10, 1995). "Murderer's Manifesto". Time. Archived from the original on September 25, 2013. Retrieved February 4, 2009. ↑ "WashingtonPost.com: Unabomber Special Report". Archived from the original on May 4, 2011. ↑ "WashingtonPost.com:". Archived from the original on May 4, 2011. ↑ Crain, Caleb (1998). "The Bard's fingerprints". Lingua Franca: 29–39. Archived from the original on June 24, 2016. 1 2 Staff writer(s) (September 19, 1995). "Excerpts from Unabomber document". United Press International. Archived from the original on August 12, 2017. 1 2 3 4 5 Adams, Brooke (April 11, 1996). "From His Tiny Cabin To The Lack Of Electricty And Water, Kaczynski's Simple Lifestyle In Montana Mountains Coincided Well With His Anti-Technology Views". Deseret News. Archived from the original on August 12, 2017. ↑ Katz, Jon (April 17, 1998). "THE UNABOMBER'S LEGACY, PART I". Wired. Archived from the original on August 13, 2017. 1 2 Sale, Kirkpatrick (September 25, 1995). "Is There Method In His Madness?". The Nation. p. 306. ↑ Sale, Kirkpatrick (September 25, 1995). "Is There Method In His Madness?". The Nation. p. 308. 1 2 3 Didion, Joan (April 23, 1998). "Varieties of Madness". The New York Review of Books. Archived from the original on August 13, 2017. 1 2 Chase, Alston (2000). "Harvard and the Making of the Unabomber". The Atlantic. Archived from the original on August 21, 2014. Retrieved April 26, 2017. ↑ Finnegan, William. "The Unabomber Returns". The New Yorker. Archived from the original on April 28, 2017. ↑ Spohrer, Lauren. "Penpals With the Unabomber". The Story. Archived from the original on June 30, 2016. ↑ Skrbina, David. "A Revolutionary for Our Times". The Wild Will Project. Archived from the original on August 19, 2017. ↑ Skrbina, David. "On the Question of Technological Slavery: A Reply to Campbell and Lipkin". The Wild Will Project. Archived from the original on August 19, 2017. ↑ Kingsnorth, Paul. "Dark Ecology". Orion. Archived from the original on March 15, 2017. ↑ Albow, Keith (June 25, 2013). "Was the Unabomber correct?". Fox News. Archived from the original on February 10, 2017. ↑ "Whose Unabomber?". March 18, 2009. Archived from the original on March 18, 2009. ↑ "The Unabomber: A Hero For Our Time". crimethinc.com. Archived from the original on February 11, 2010. Retrieved April 10, 2010. ↑ Kaczynski, Ted. "Progress vs. Liberty (aka '1971 Essay')". Wild Will Project. Archived from the original on January 17, 2018. Retrieved May 29, 2018. 1 2 Sale, Kirkpatrick (September 25, 1995). "Unabomber's Secret Treatise". Nation. Archived from the original on May 2, 2009. Retrieved April 23, 2009. ↑ Kaczynski, Ted (1995). "Industrial Society and Its Future, § Human Suffering". Archived from the original on August 10, 2015. Retrieved August 7, 2015. ↑ Wright, Robert (August 28, 1995). "The Evolution of Despair". Time. Archived from the original on December 5, 2008. Retrieved July 6, 2008. ↑ "Why the future doesn't need us". Wired. April 2000. Archived from the original on February 5, 2009. Retrieved February 4, 2009. ↑ John Stevens (July 25, 2011). "Anders Behring Breivik posted YouTube video six hours before Norway terror attacks". Daily Mail. London. Archived from the original on May 5, 2013. Retrieved July 24, 2011. ↑ "Norway suspect admits responsibility". Sky News. Archived from the original on January 4, 2012. Retrieved July 24, 2011. ↑ Lucas H. Weldeghebriel. "Kopierte Una-bomberens manifest". VG. Archived from the original on August 7, 2011. ↑ Hough, Andrew (July 24, 2011). "Norway shooting: Anders Behring Breivik plagiarised 'Unabomber'". The Daily Telegraph. London. Archived from the original on July 24, 2011. Retrieved July 24, 2011. 1 2 Young, Jeffrey R. (May 25, 2012). "The Unabomber's Pen Pal". The Chronicle of Higher Education. 58 (37). pp. B6–B11. ISSN 0009-5982. Archived from the original on October 9, 2017. Retrieved November 16, 2018 – via EBSCOhost. ↑ Bailey, Holly (January 28, 2016). "The Unabomber takes on the Internet". Yahoo News. Archived from the original on February 14, 2016. Retrieved November 16, 2018. ↑ Graysmith, Robert (1997). Unabomber: A Desire to Kill. Berkley Publishing Group. p. 74. ISBN 978-0-425-16725-0. 1 2 3 4 5 Taylor, Michael (May 5, 1998). "New Details Of Stakeout In Montana". SFGate. Archived from the original on September 14, 2018. Retrieved September 14, 2018. ↑ Franks, Lucinda (July 22, 1996). "Don't Shoot". The New Yorker. Archived from the original on December 26, 2008. Retrieved February 4, 2009. ↑ Labaton, Stephen (October 7, 1993). "Clue and $1 million Reward in Case of the Serial Bomber". The New York Times. Archived from the original on August 19, 2017. Retrieved February 4, 2009. 1 2 Kaczynski, David (September 9, 2007). "Programme 9: 9th September 2007". RTÉ Radio 1. Archived from the original on October 13, 2007. Retrieved February 4, 2009. ↑ Johnston, David (April 5, 1996). "On the Suspect's Trail: the Investigation; Long and Twisting Trail Led To Unabom Suspect's Arrest". The New York Times. Archived from the original on August 10, 2017. Retrieved July 4, 2008. ↑ Perez-Pena, Richard (April 7, 1996). "Tapestry of Links in the Unabom Inquiry". The New York Times. Archived from the original on August 10, 2017. Retrieved July 5, 2008. ↑ Claiborne, William (August 21, 1998). "FBI Gives Reward to Unabomber's Brother". The Washington Post. Archived from the original on May 4, 2011. Retrieved February 2, 2011. ↑ Kovaleski, Serge F. (January 20, 1997). "Kaczynski Letters Reveal Tormented Mind". The Washington Post. Archived from the original on January 15, 2018. Retrieved December 28, 2017. 1 2 Belluck, Pam (April 10, 1996). "In Unabom Case, Pain for Suspect's Family". The New York Times. Archived from the original on August 10, 2017. Retrieved July 5, 2008. ↑ Davis, Pat (January–February 2017). "Historian Spotlight - James Fitzgerald". The FBI National Academy Associates Inc. Archived from the original on February 22, 2018. Retrieved September 10, 2018. ↑ Davies, Dave (August 22, 2017). "FBI Profiler Says Linguistic Work Was Pivotal In Capture Of Unabomber". National Public Radio, Inc. Archived from the original on September 10, 2018. Retrieved September 10, 2018. ↑ Johnston, David (May 5, 1998). "17-Year Search, an Emotional Discovery and Terror Ends". The New York Times. Archived from the original on August 19, 2017. Retrieved July 6, 2008. 1 2 Dubner, Stephen J. (October 18, 1999). "I Don't Want To Live Long. I Would Rather Get The Death Penalty Than Spend The Rest of My Life in Prison". Time. Archived from the original on December 4, 2002. Retrieved February 4, 2009. ↑ "Unabomber suspect is caught, ending eight-year man-hunt". CNN. 1996. Archived from the original on October 8, 2008. Retrieved January 25, 2009. ↑ "The Unabomb Trial". CNN. 1997. Archived from the original on June 18, 2006. Retrieved February 4, 2009. ↑ Howlett, Debbie (November 13, 1996). "FBI Profile: Suspect is educated and isolated". USA Today. The 17-year search for the bomber has been the longest and costliest investigation in FBI history. ↑ Unabomber. MSN Encarta. Archived from the original on January 25, 2009. Retrieved February 4, 2009. ↑ Glaberson, William (January 8, 1998). "Kaczynski Tries Unsuccessfully to Dismiss His Lawyers". The New York Times. Archived from the original on December 5, 2013. ↑ Staff writer(s) (January 8, 1998). "Kaczynski Demands to Represent Himself". Reuters. Archived from the original on October 3, 2017. ↑ Glaberson, William (January 8, 1998). "Kaczynski Can't Drop Lawyers Or Block a Mental Illness Defense". The New York Times. New York. Archived from the original on May 24, 2013. Retrieved June 15, 2017. .
↑ Staff writer(s) (January 9, 1998). "Suspected Unabomber in suicide attempt". BBC News. Archived from the original on October 3, 2017. ↑ Diamond, Stephen A. (April 8, 2008). "Terrorism, Resentment and the Unabomber". Psychology Today. ↑ Possley, Maurice (January 21, 1998). "Doctor Says Kaczynski Is Competent For Trial". Chicago Tribune. Archived from the original on October 3, 2017. ↑ Corey, Scott (January 21, 1998). "Revolutionary suicide". Salon. Archived from the original on December 27, 2008. Retrieved February 4, 2009. ↑ "The Unabomber: A Chronology (The Trial)". Court TV. Archived from the original on June 30, 2008. Retrieved July 5, 2008. ↑ Taylor, Michael (August 12, 2006). "Unabomber's journal, other items to be put up for auction online". San Francisco Chronicle. Archived from the original on December 27, 2008. Retrieved July 5, 2008. ↑ Catherine Prendergast: "The Fighting Style: Reading the Unabomber’s Strunk and White Archived May 21, 2013, at the Wayback Machine", College English, Volume 72, Number 1, September 2009. ↑ Jane Perrone: "Crime Pays Archived January 13, 2017, at the Wayback Machine", The Guardian News Blog, July 27, 2005. ↑ Rong-Gong Lin II and Wendy Lee: "Unabomber 'Murderabilia' for Sale Archived January 24, 2016, at the Wayback Machine", Los Angeles Times, July 26, 2005. 1 2 Kovaleski, Serge F. (January 22, 2007). "Unabomber Wages Legal Battle to Halt the Sale of Papers". The New York Times. Archived from the original on April 24, 2009. Retrieved July 3, 2008. ↑ Trescott, Jacqueline (August 13, 2008). "Unabomber Objects to Newseum's Exhibit". The Washington Post. Archived from the original on September 10, 2008. Retrieved October 7, 2008. ↑ Egelko, Bob (January 9, 2009). "Unabomber's items can be auctioned". San Francisco Chronicle. Archived from the original on July 15, 2009. Retrieved January 11, 2009. ↑ Kravets, David (June 2, 2011). "Photo Gallery: Weird Government 'Unabomber' Auction Winds Down". Wired. Archived from the original on June 9, 2012. ↑ "Theodore John Kaczynski Archived April 30, 2011, at the Wayback Machine." Federal Bureau of Prisons. Retrieved January 5, 2010. ↑ "The Unabomber's not-so-lonely prison life". Archived from the original on October 11, 2017. Retrieved October 10, 2017. ↑ "Newseum – Unabomber". Newseum. Archived from the original on December 1, 2014. Retrieved April 1, 2015. ↑ Pond, Lauren (October 31, 2005). "NU rejects Unabomber's offer of rare African books". The Daily Northwestern. Archived from the original on October 24, 2008. Retrieved February 4, 2009. 1 2 Herrada, Julie. "Letters to the Unabomber: A Case Study and Some Reflections." Archival Issues (2003): 35-46. ↑ Bailey, Holly (January 25, 2016). "Letters from a serial killer: Inside the Unabomber archive". Yahoo News. Archived from the original on January 25, 2016. Retrieved January 25, 2016. It has been almost 20 years since Ted Kaczynski’s trail of terror came to an end. Now a huge trove of his personal writings has come to light, revealing the workings of his mind — and the life he leads behind bars. ↑ "Labadie Manuscripts". University of Michigan Library. Archived from the original on February 23, 2017. Retrieved August 27, 2013. ↑ Zennie, Michael (May 24, 2012). "Harvard apologizes for publishing 50-year reunion update from Unabomber Ted Kaczynski that bragged about his 'eight life sentences'". Daily Mail. Archived from the original on May 5, 2013.